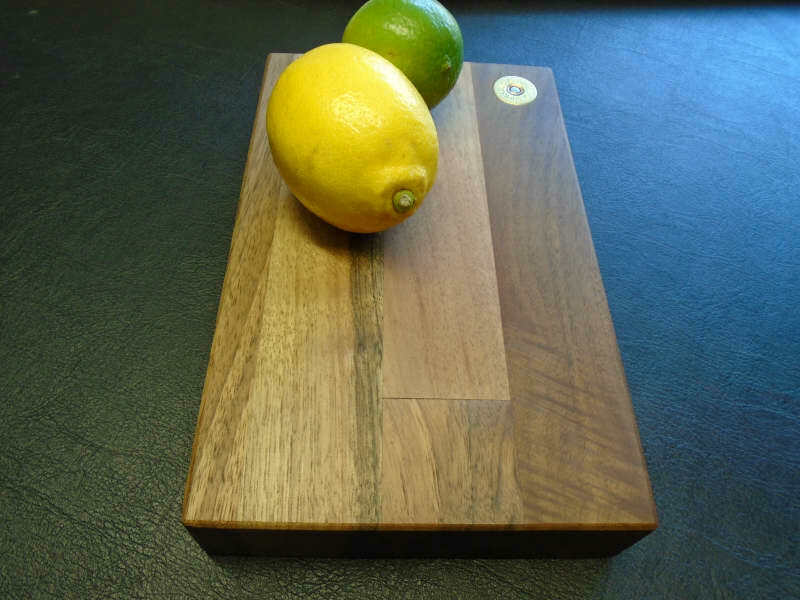 Small drinks chopping board. 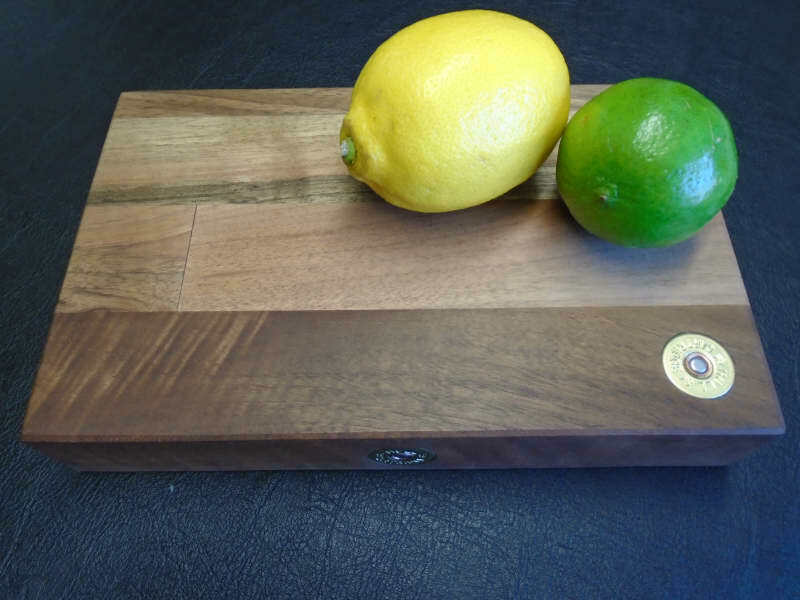 Ideal size for slicing lemon & limes . 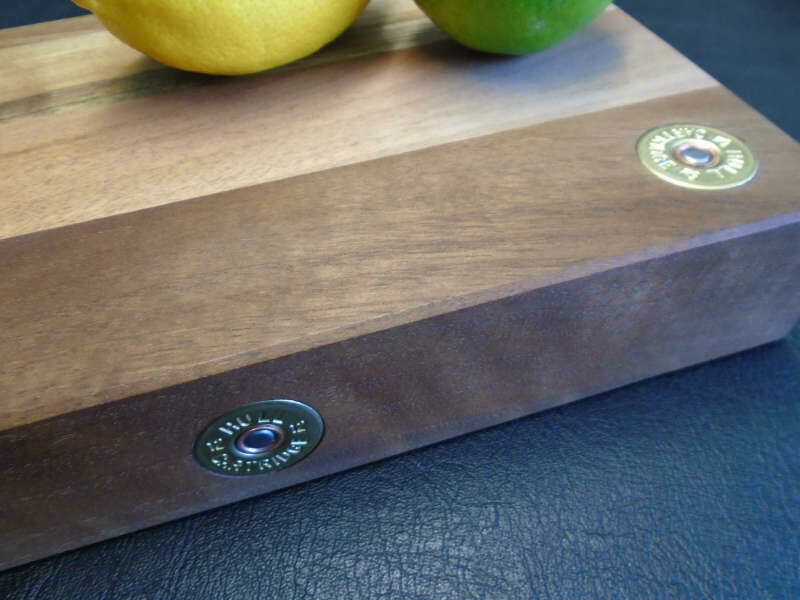 Made from solid Walnut and has 3 brass cartridge heads inlaid. All Gunmakers Gifts by W Richards are individually made and are all unique. No two are the same.